For those who are unaware of how to install an extension, click HERE for a quick how-to. Go ahead and get the extension installed now, because when you see what you can do with DocentEDU, you’ll likely be convinced, this is a great tool for any subject area. Go ahead and sign up as a teacher after the extension installs. Let’s start out with the basics. Go to a website you would like to use in your classroom. We all know we have them, I like newsela.com myself, but I’m a reading guy. Once you are at the website, click the extension icon at the top right corner. After a moment, you will see a message appear that says DocentEDU is loaded. You are now ready to rock and roll. You will notice you now have a little menu to the right of the screen. See the image below for what each icon represents. Let’s step through the basics. DocentEDU is incredibly simple to get the hang of. First, find the webpage you want to use in your classroom, if you have not already. Then, we are just going to play a bit, to see what DocentEDU does. First, click the HIGHLIGHTER tool. Yep, you guessed it, go highlight something. Pretty simple. Next, you can select that text you just highlighted and click the COMMENT tool. 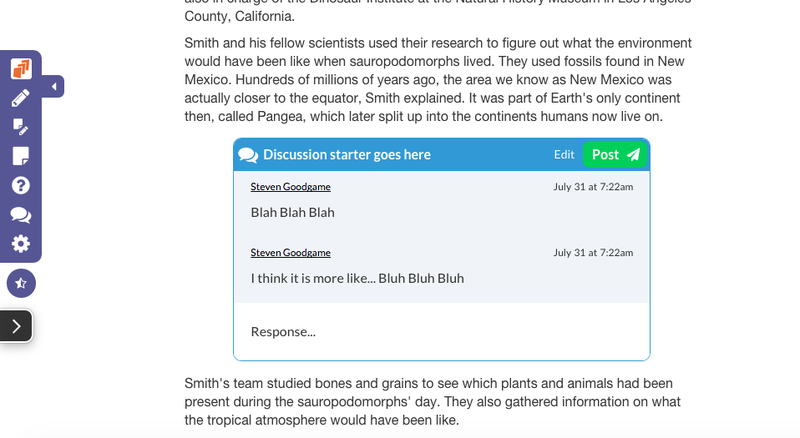 This makes that text a link, so that when students click it, they see a comment about the text pop up. Pretty cool + Pretty simple = teacher friendly. 1. Find your content you wish to share. An easy one is to head to YouTube, find a video, click the SHARE then click EMBED. Simply copy and paste the text from YouTube and Paste it into the Sticky Note box, as shown below. You are then rewarded with your video, or whatever media you chose appearing in the webpage. Next is ask a question, this is pretty simple. 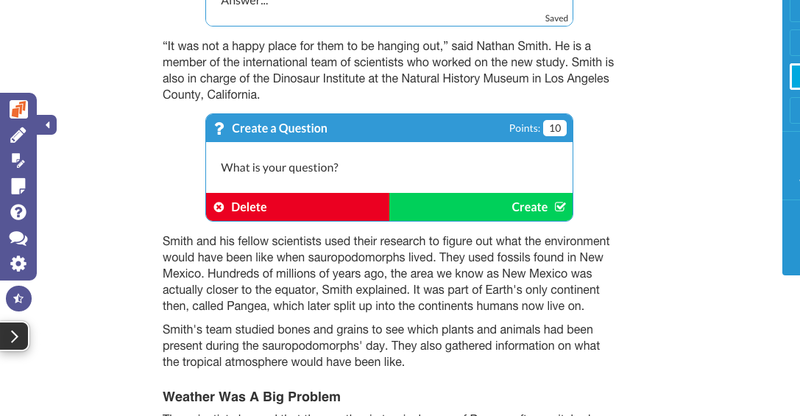 Simply click the QUESTION tool, then click the paragraph or section of text you want the question to appear after. The same thing works with the DISCUSSION tool. This one creates a box where the answers will populate the box on the page. This box can get pretty big, so you may want to consider placement ahead of time. 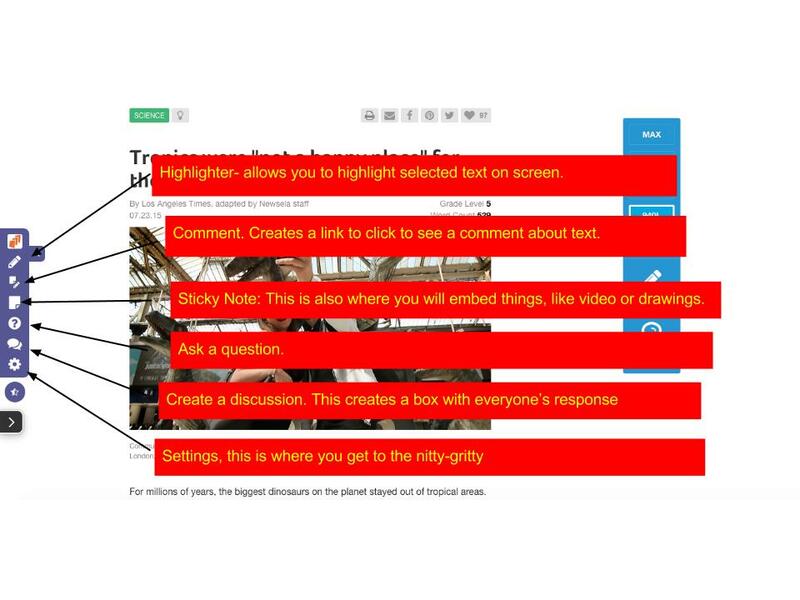 This is a great way to allow students to discuss a specific article, whenever they access the document. The settings tab is where you get all the nitty gritty stuff. Click it, and you get to access grades, assign your Docents (what the pages you create are called), add students by sharing a code, etc. Overall, I really love DocentEDU. It is a great tool to utilize the tons of resources that are out there on the web. A couple of things to note. You are not actually changing the webpage on the web, you are creating a sort of overlay of the webpage. The original page on Newsela, or whatever site you choose will not change, so don’t worry about that. The creations you make are called Docents. Separate your classes like you would any class. This may be an extra couple of steps, but the organization later is well worth it. 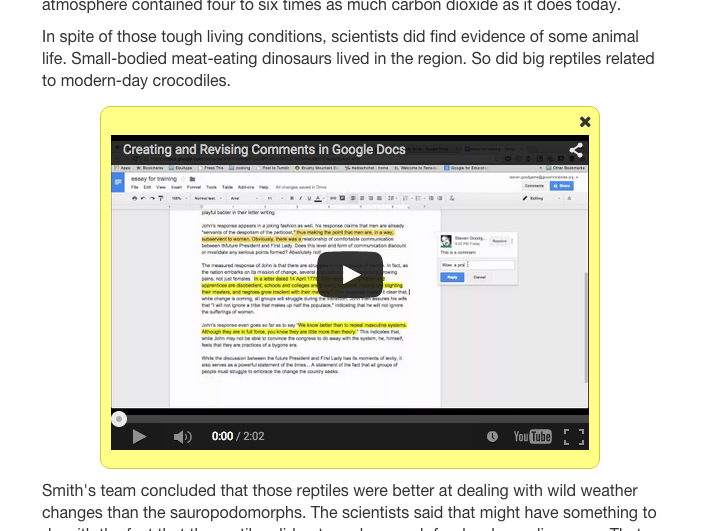 The creators say that DocentEDU works with Google Docs, and technically, it does. You can publish a Google Doc to the web, get the link, and create Docents from there. The disadvantage is you lose the collaboration features built into Google Docs, as DocentEDU treats it as a normal webpage at that point. This is likely ok for some things, but for others, not so much. The strength Google Docs is the real-time collaboration. DocentEDU has the ability to handle collaboration within a Google Doc by creating discussions, etc. 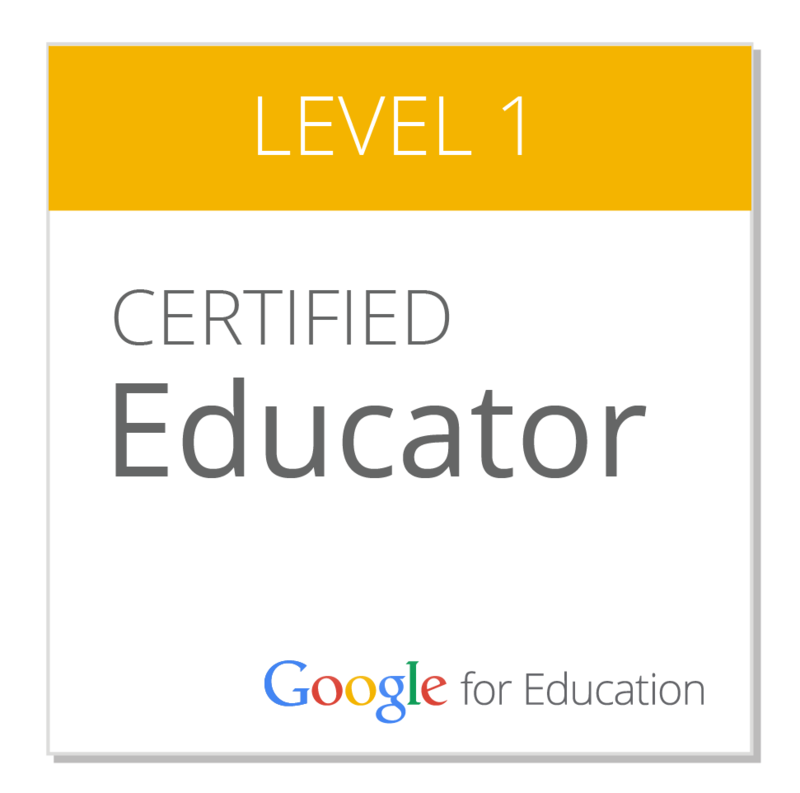 Google Docs, in my opinion, is a totally different tool than DocentEDU. DocentEDU does a fabulous job of bringing web content to life. 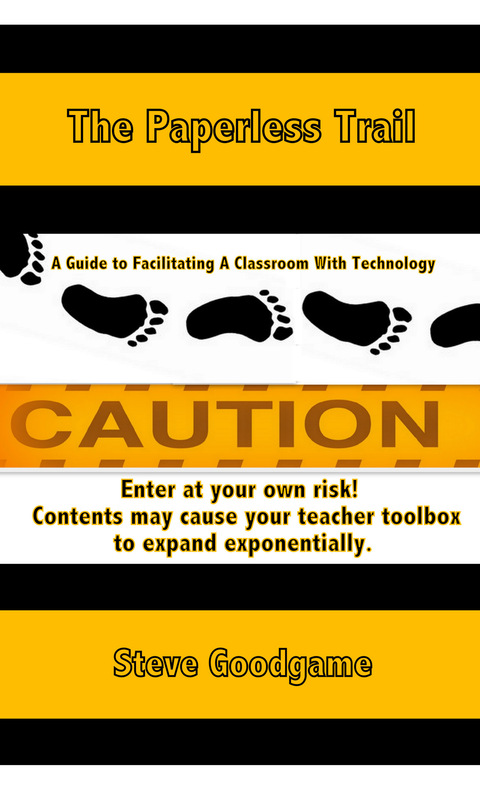 As always, whenever integrating EdTech into your classroom instruction, ALWAYS start with the learning objective, and select the tools most appropriate to aid your students in grasping the content. If you are searching for ways to capture the attention of your classes by using real content from the web, DocentEDU is the go to tool here.